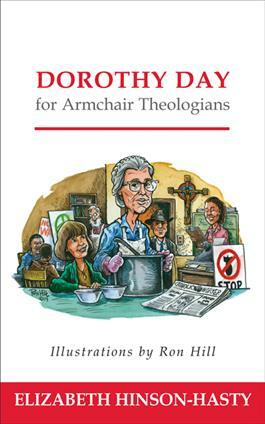 If theology is about more than books and libraries, lecture halls and dusty debates; if theology is instead about lived experience, especially the experiences of those living at the margins of society's care and concern; if, in short, theology is about the real needs of real people, then Dorothy Day was one of the greatest theologians of the twentieth century. In spite of having no formal training in theology, Day's work and writing on behalf of the poor and oppressed bears eloquent testimony to the creativity and courage of her theological vision. Her journalism for the Catholic Worker and her advocacy for the poor, women, ethnic minorities, and others come together to form a consistent theology of the church and its ministry to the world. In this contribution to the Armchair Theologians series, Elizabeth Hinson-Hasty demonstrates how Day's tireless work on behalf of the marginalized arose from and articulates a deeply theological commitment to the Reign of God and the dignity of all God's children. This book is the perfect introduction to the Day's remarkable life and powerful vision. "Hinson-Hasty skillfully masters this significant contribution to the Armchair Theologians series. For many who are already acquainted with Day's life and work, this volume invites a deeper appreciation for the complexities of Day's pacifist stance throughout the tumultuous history of the twentieth century, while making her life and work relevant for todayÆs challenges. With vast referencing that goes beyond previous biographies of Day, this volume is a gift to all generations seeking to truly engage this modern social mystic." "This is a beautiful, highly accessible account of Dorothy Day—her historical context, life story, thought, and spirituality. For those sensing a call to radical discipleship and hoping to follow Jesus into friendship and solidarity with those on the margins, Hinson-Hasty's treatment of Day and the Catholic Worker Movement she founded will be a most inspiring read." "Hinson-Hasty gifts us with this wonderful rendering of the life and work of one of the most powerful and important theologians of the twentieth century. Dorothy Day is definitely not an armchair theologian, and any true reader of her work will be challenged to go to the streets and engage with the poor, with the disenfranchised, and in popular grassroots movements. This book is a blessing from two wonderful theologians." "Hinson-Hasty paints a portrait of Dorothy Day that moves beyond simply the historical details by providing insight into one of the leading fighters for the rights and dignity of all workers. Hinson-Hasty doesn't romanticize Day; rather, she introduces us to a woman who, despite human failings, doubts, and imperfections, embodied justice, a woman who is relevant and must be included in any survey of twentieth-century transformers and reformers." "In our age of hyperincome inequality and the attempt of the few to control our nationÆs politics, it is balm to the spirit to read of Dorothy Day and her struggles in the first half of the twentieth century. Faith in action requires a commitment to the gospel measure of putting those who struggle in poverty at the center of our decision making. Faith, hope, and joy are at the heart of this commitment and at the heart of this book."